Liberal Bohemian: Letter to March For Life peeps. You're not, but it's a nice sign. 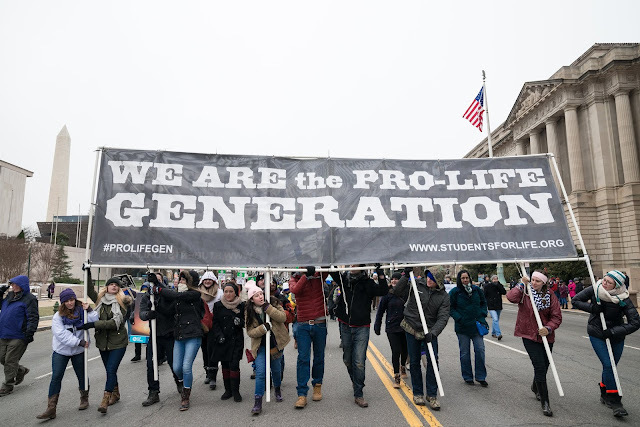 The March For Life people will be out in the streets today and I meditated this morning sending them love and hoping they will find the truth and peace they seek. The fact that abortion is a really bad thing that no one ever wants to undertake is a truth. The fact that the government they have been seeking to end abortion has let them down is also a truth to be reckoned with as well. They had the President, Congress, Senate, and Supreme Court stacked in their favor and still didn't get abortion outlawed. Maybe now they will wake up and realize that outlawing abortion is not the people's will and as long as we have a democracy then it won't happen. But, if they get their dictatorship going then it could happen. Is that what you really want? How about this, instead of bringing our democracy down and giving us a dictatorship that goes against the will of the majority, you agree to never have an abortion. Call me stupid but I think your god will be very happy with you. Finally, I do honor your right to protest and wish you peace in your endeavors. Good luck. I'm sorry Democracy isn't working for you.